Agha Panahian explains the difference between good good akhlaq, and bad good akhlaq. Are all of our good actions accepted or whether there is a condition for the acceptance of these good deeds? 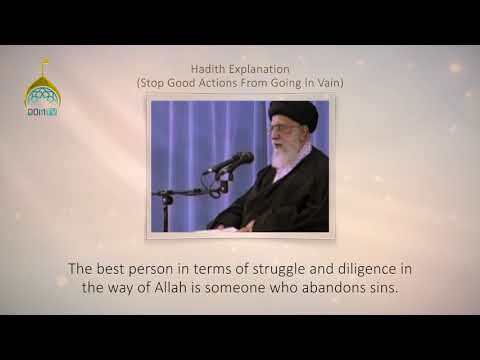 How can we stop our good actions from going in vain? Ayatollah Khamenei explains. US Secretary of State John Kerry says Washington intends to negotiate in good faith to try to reach a deal with Iran over the country\'s nuclear energy program in the upcoming talks in Geneva. Kerry made the comments in a meeting with Turkish foreign minister Ahmet Davutoglu in Washington. Kerry also reassured Israel about Washington\'s commitment to the security of Tel Aviv and said a possible deal with Iran would reduce security risks for Israel. The comments come just days before a second round of talks between Iran and the five permanent members of the UN Security Council plus Germany in Geneva. 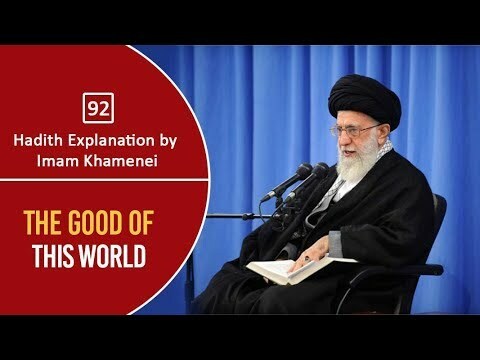 Ayatollah Khamenei points out the effects of using good words and good language in both the worlds. It is a special reminder for Muslim youths across the globe. An exclusive interview with Br. Nisar Faizi, Secretary Progress & Development of MWM Pakistan. The purpose of the interview was to gain knowledge about MWM's Good Deeds Foundation and its services, especially in relevance to the Flood Relief efforts. Pakistan was faced with a disasterous flood in 2010. The intensity of the disaster has been announced to be far greater than Tsunami and Haiti disasters. Brother Nisar Faizi highlights some of the efforts by MWM. Top Iranian officials continue to react to the latest anti-Iran sanctions by the United States. Iran\'s permanent envoy to the United Nations says the recent sanctions strengthen the suspicions about Washington\'s good intentions. Mohammad Khazaee said the US latest move will have negative and serious effects on Iran\'s nuclear talks. He added that the talks will no longer have the support of the Iranian people as well as the international community in the wake of the recent sanctions. Two days ago, the US Treasury Department added the names of nineteen companies and individuals to its sanctions list, alleging they were helping Iran\'s nuclear program. Iranian authorities say the sanctions go against the spirit of the nuclear deal reached in Geneva last month.